Kissing frogs might not be everyone’s idea of a good time but when it comes to finding property deals, you invariably need to check out a lot of ugly sisters before you find Cinderella. 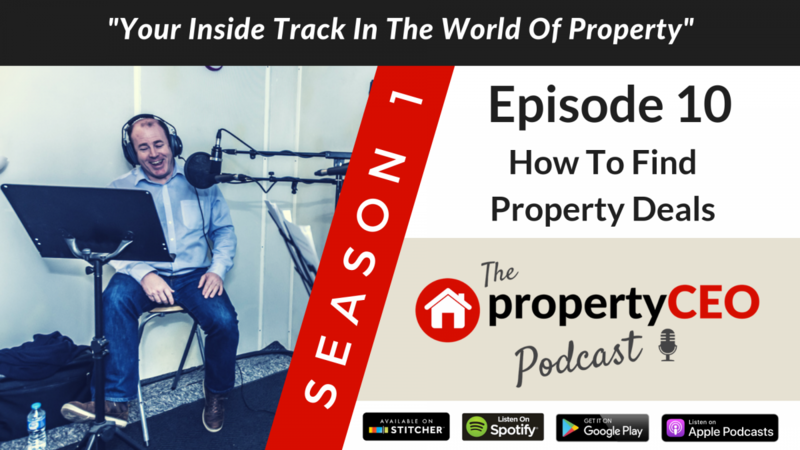 In this episode Ritchie Clapson from propertyCEO mercifully ditches any further Disney analogies and instead heads straight for the heart of the matter – where you should be looking to find your next property deal, and more importantly how you can do it effectively and efficiently. As in life, the less time you can spend kissing frogs the better and Ritchie shares how systemising your approach can pay big dividends in shortening the path to your next property deal.